If your company needs regular international road freight, this offer is for you! WE OFFER INTERNATIONAL ROAD FREIGHT! We have more then 500 cars. Every freight is insured for 100 000 USD. We will delivery goods to any point of Eurasia. Low -tonnage vehicles carrying capacity of 1.5-3 tons. Trucks carrying capacity up to 5t. with tail lift. 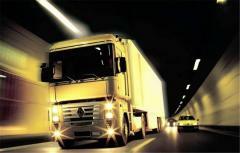 Trucks carrying capacity up to 10 tons., volume up to 60 cubic meters. Tilts, isothermal cars, refrigerators, euro trucks, up to 86 cubes. Cars with side and top loading, with an internal volume of the body / semitrailer to 120 cubic meters, capacity up to 25 tons. Beneficial cost. Ukrainian carriers go cheaper. Flexible payment system. Partial payment delay up to 14 days. Responsibility for the goods. All transportation insured for 100,000 USD. Constantly “in touch”. Opening hours - 7 days a week, 365 days a year. Responsibility for the delivery terms. Warranty meets the deadline. 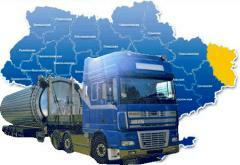 Delivery “door- to -door”: Ukraine-Russia-CIS-Europe-Asia. Profitable for business. Specialization in the B2B segment of transportation. 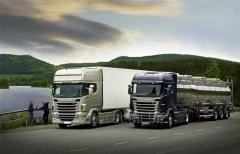 We are professionals in transport logistics. Over 5 years of successful work, the company has established itself as a reliable carrier with a perfect business reputation. 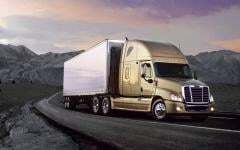 The company has provided trucking services to more than 200 customers. More the 600 orders every month. Each month, the company makes more than 600 road freights, including more then 30 of oversized and overweighed. The staff consists of competent managers, transport, logistics and engineers with specialized education and years of experience, knowledge of modern transportation technologies, all types of transport and legislation. The company maintains a legal and transparent business. We are building a "green corridor" for the development of business today and in the future, the company pays all taxes and charges. The liability of the company is guaranteed by the insurance certificate for 100,000 USD. Unbelievable price on Car transport of goods international in Kiev (Ukraine) company AUTOCAT, LLC.